ドッグトレーナーのひとりごと | Do Fireworks frighten you or delight you? Do Fireworks frighten you or delight you? « What’s “Discover Dogs” for? -Part1. What I saw. 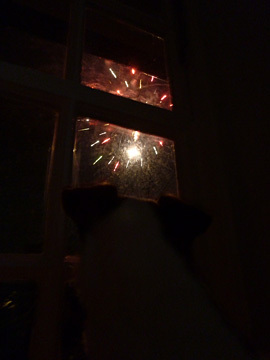 being scare by the loud of fireworks ! Don’t take it! It’s mine!